Bilişim Hukuku Günlüğü: Is the web getting faster? Is the web getting faster? 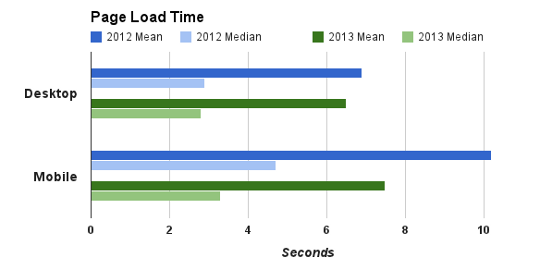 At Google, we are passionate about speed and making the web faster. A faster web is better for both users and businesses - faster pages lead to better user experience and improved conversions. The Site Speed reports in Google Analytics give every website owner detailed data on the speed of their web pages, as experienced by real users. Last year, we published a study on the speed of websites around the world based on one week of aggregated Site Speed data from opted-in web publishers. Over the last year, we have seen significant improvements in the core infrastructure that powers the Internet: the web browsers have gotten faster; there have been quite a few LTE/4G deployments making mobile networks a lot faster; and processing power on mobile devices continues to increase at a rapid pace. To determine whether these improvements in technology are making the web faster, we present recent Site Speed data and compare it with the data from last year. While access from desktop is only a bit faster, it is still impressive given that the size of the web pages have increased by over 56% during this period. 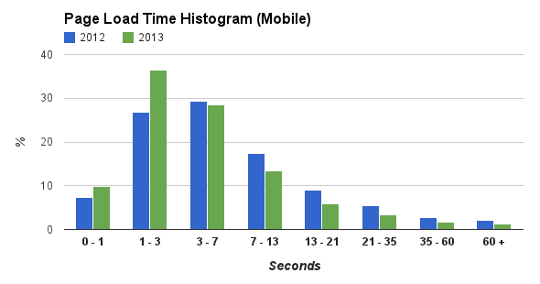 It’s great to see access from mobile is around 30% faster compared to last year. This is evident from the histograms below as well. For desktop, there is not a significant change in the bucket distributions, but for mobile we see a shift from slower buckets (i.e. 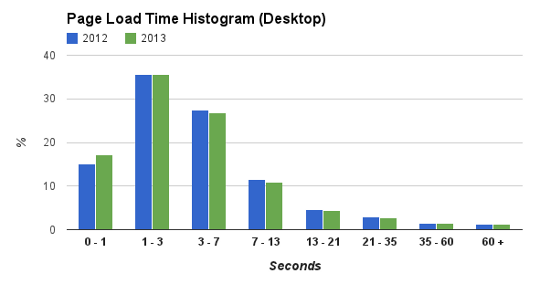 higher page load time) to faster buckets. 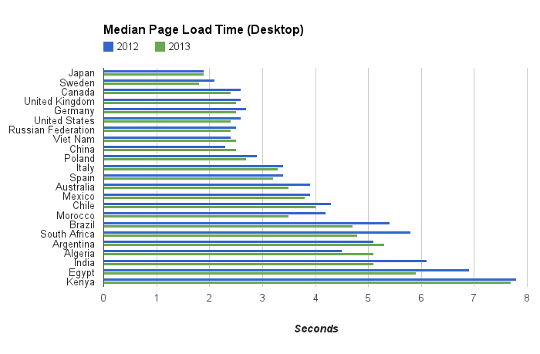 Taking a look at change in the speed of web pages for a few specific countries, for most of them, there is a slight improvement in page load times on the desktop. 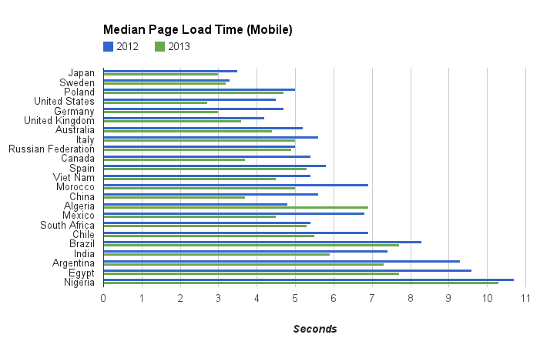 However, there is a significant improvement in page load times on mobile. If you are a web site owner, you can analyze and speed up your web site using the PageSpeed products, and check the resulting improvements in Site Speed reports.